When I was a kid, I ate cereal for breakfast every morning. Fast, easy, delicious. To this day, I still love cereal. I could eat it for breakfast, lunch, dinner, and snacks in between. And I do just that some days. My kids? Not so much. Yeah, they like the occasional bowl, but their taste palates are much more refined (read "picky"). So, being the good mom I am, I try to make a decent breakfast for them. Usually we stick to things like instant oatmeal, toast, yogurt, scrambled eggs, and so on. Fast and easy, but still good. Every so often, I love to do something better, more hearty. More amazing. Something to really put a smile on my kids' faces. Oh, yes. Glorious, marvelous muffins. 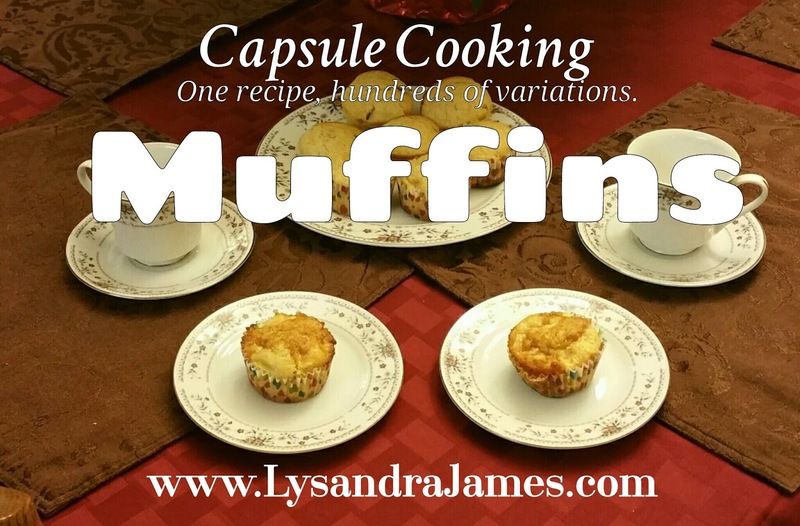 I used to buy those cheap muffin mixes from the store. They were okay. My kids would eat one or two and be good. Occasionally, I'd have a couple left over that would get stale and hard and I'd have to throw them away. But then I stumbled upon this recipe from Taste of Home quite by accident. I don't think I was even looking for a muffin recipe. 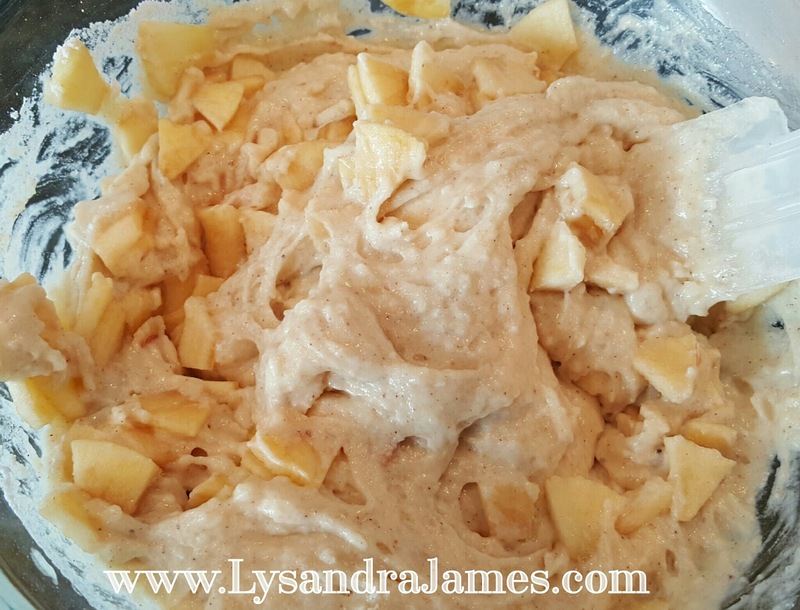 I had ripe bananas that needed to be used (that happens a LOT in our house), so I decided to give it a try. The recipe made quite a bit more than I expected - 24 for a single batch. I was sure we'd have a ton left over. By the end of the day, however, there was nothing left. Well, except for muffin wrappers and crumbs everywhere. 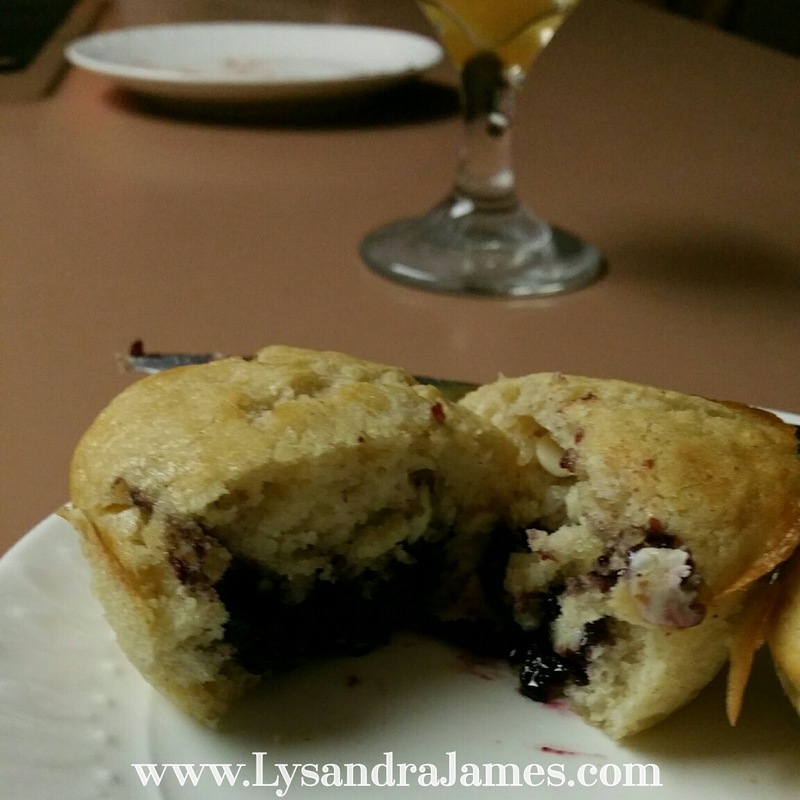 My kids and I devoured every single muffin then begged for more. From that moment, I was hooked. We tried more varieties - hot cocoa, applesauce, etc. It was awesome. No matter what I tried, my kids loved it. 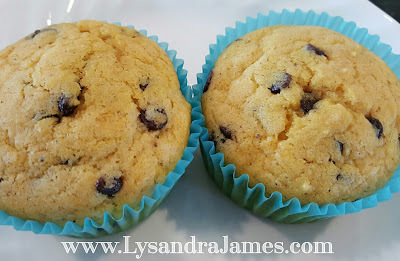 What made the muffins even better was how well they freeze. I currently have four gallon-sized bags of muffins in my freezer. All this week, we've been pulling them out and heating them in the microwave for breakfast. They still taste amazing. And they're just as quick as cereal. Score! While I find the plain muffin recipe amazing, my test kitchens and I have ramped it up to the next level with our own variations. You'll never buy a boxed muffin mix again. Mix dry ingredients. 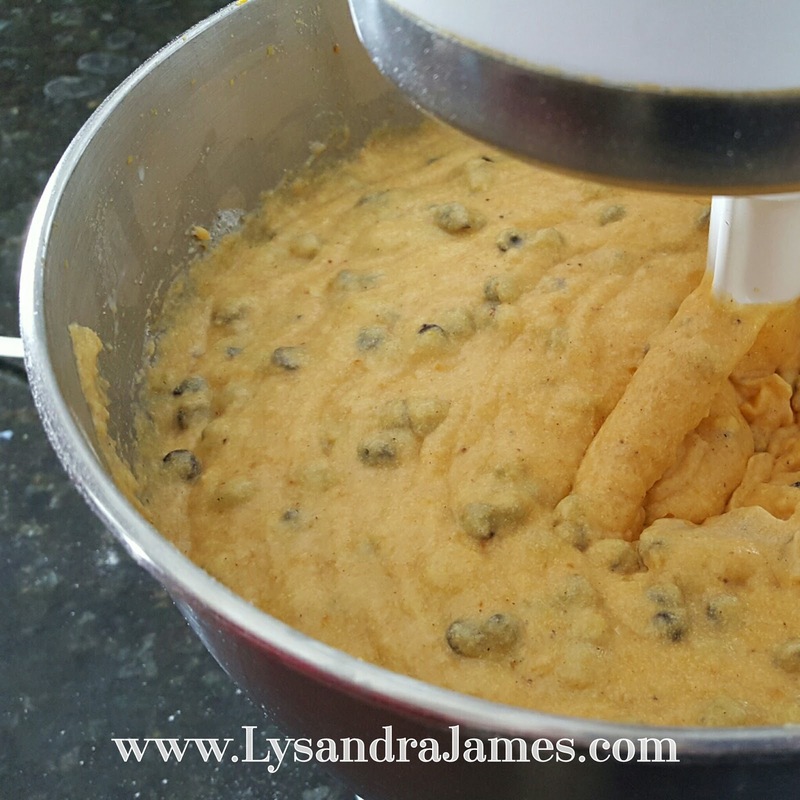 Whisk the egg, milk, and butter; stir into dry ingredients just until moistened. Fill paper-lined muffin cups three-fourths full. Bake at 400 degrees or until a toothpick comes out clean. Cool for 5 minutes before removing to a wire rack. Serve warm. Makes about 24 muffins. This is my pumpkin chip variation - recipe below. My friend, Tifani is back again this month. (Her Apple Cheesecake variation on the No-Bake Cheesecake Capsule was amazing, by the way. Handyman Husband especially liked it.) She kept it simple, but delicious. 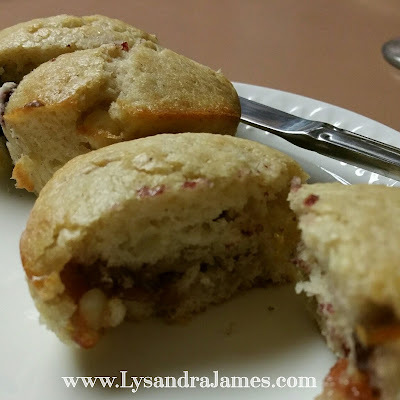 "For my variation, I made raspberry muffins. We have raspberry bushes in our backyard and have a plethora of raspberries all summer. We freeze all the extras that don't get eaten, given away, or turned into jam and use them throughout the winter. 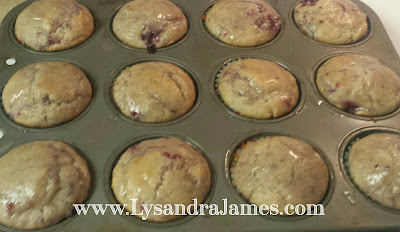 I added about a cup of the raspberries to the muffin mix. When they came out of the oven, I put a glaze on them (vanilla, powdered sugar, and water/milk). 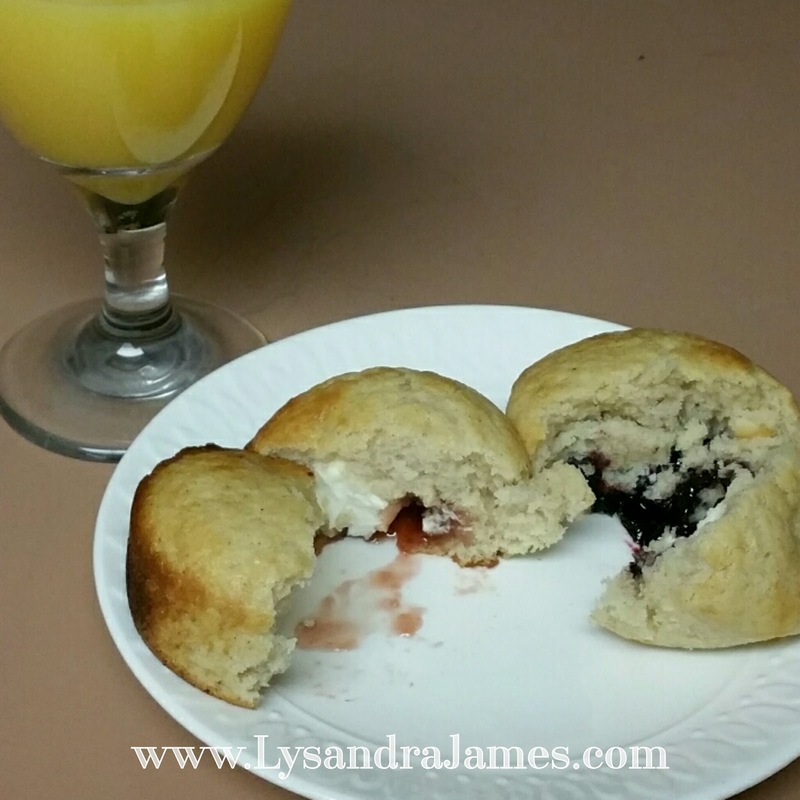 My family devoured them pretty fast so I take that as a good sign that they were liked." I'm now ecstatic that we're planting berry bushes this spring so I can have my own plethora of berries to use in muffins. Sweet! My friend Christina is from my writers group and, boy, did she step up to the plate on these! She did two rounds of muffins. The first was a complete disaster. The second was, in her own words, an "EPIC SUCCESS". She also didn't care for the base recipe as much as I do. Of course, I never do just the base recipe. Not when you can jazz it up so easily! "I used a salted caramel sauce I had made, but I know you can buy it at the store. It made the muffins too gooey. A gigantic mess, really. I would have had to replace some of the milk and/or sugar to make this successful. I didn't want to mess with the base mix, though. It would ruin the capsule idea. "The apples I used were a little too soft and I used too many. 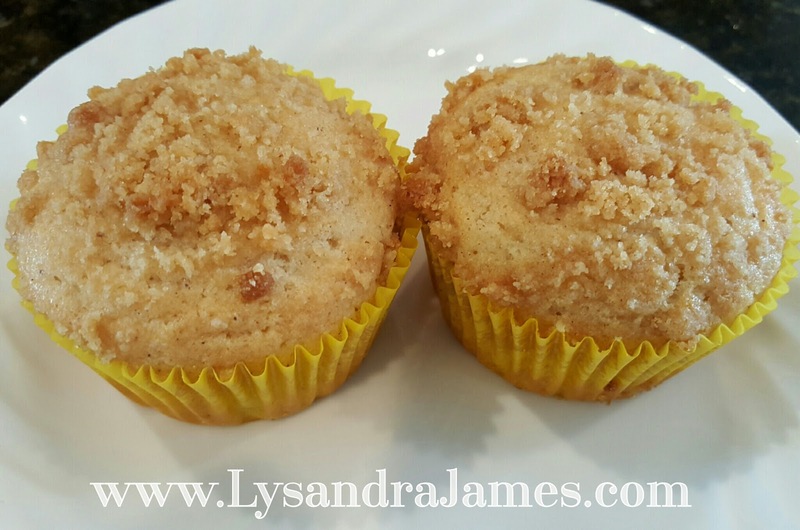 I normally enjoy apple muffins, but these were too moist. I would have needed to take some of the milk out. I was going to try to take the sugar out and replace it and some milk with applesauce, but decided against it. 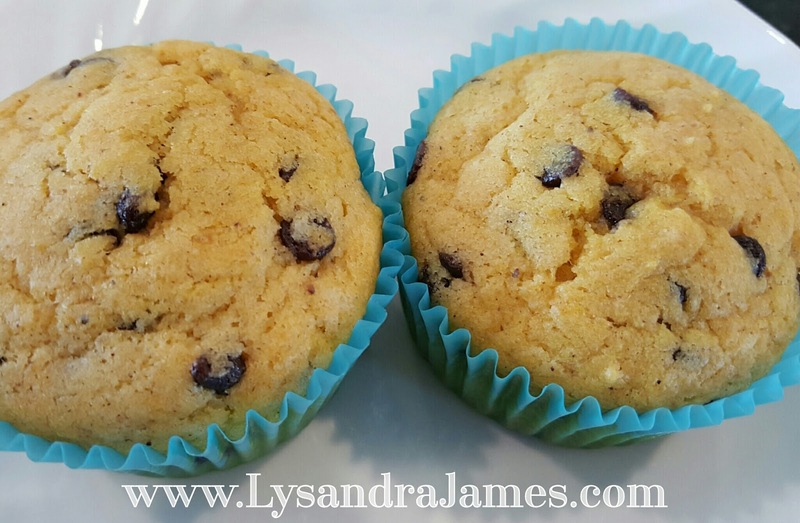 "The muffin base was a little too boring for the rest of these. Everything tasted bland and sad. Not cool. So, I learned not to add in too much moisture and that what we needed was a burst of flavor and not just things that are yummy. "I also learned that nutmeg is evil. That must have been a joke or a typo or something. Definitely substitute with a pinch of chili powder." 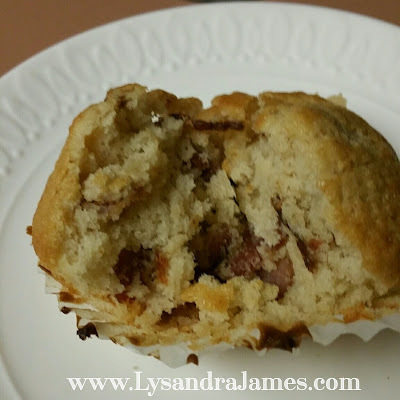 "My husband LOVED the maple bacon muffins. I call it the "Oh no, I don't have enough bacon left for breakfast" muffin. I used two strips of bacon for 4 muffins. I basically took some batter and folded in a few squirts of maple syrup (the fake kind) and crumbled bacon. The savory and sweet go well together and make up for the base muffin tasting like a sad pancake. "For the jam muffins, I covered the bottoms of the muffin holes with batter (not too much) then placed a spoonful of jam on each. I cut reduced fat cream cheese into squares a bit less than an inch and rolled them in sugar then placed them on top of the jam. Cover with batter and you are ready. I'm drooling over this one. Guess what's on my list to try next! "The alternative was instead of cream cheese to sprinkle vanilla chips and then cover with batter. "For giggles I combined strawberry jam, blackberry/raspberry jam, vanilla chips, and cream cheese. This was AMAZING. "I loved them all. The strawberry jam was a little weak, so I favored the other, but it still wasn't bad, just not as flavorful. The cream cheese could have used more sugar if you have a sweet tooth, but I felt it was the perfect richness to complement the jam." I think I may try to "fix" her first round ideas because her ideas sound really good. They weren't failures in my eyes. Just a lesson to be learned and improved upon. And I'm all about that sort of thing. But I'm definitely going to try those cream cheese ones because how can you go wrong with cream cheese and jam? I had a ton of fun with these. Oh, yes, I did. This is so simple, it's ridiculous. I doubled the batch and added a 15-oz. can of pumpkin pie filling. (A full can for a single batch results in a more pumpkin pie texture.) Then I added 2 cups of mini chocolate chips. My younger boys absolutely love these. These are my favorite so far. I used my apple corer-slicer-peeler (seriously, someone needs to come up with a shorter name for that thing!) to cut up two Fuji apples. Then I quartered the spiraled apples and mixed them right into the batter. For the topping, I used a crumb topping I pulled off Pinterest. I think it was 1 cup flour, 1 cup brown sugar, and 1/2 cup softened butter cut together until it resembled coarse crumbs. I sprinkled it on top of the batter and popped them in the oven. They tasted like an apple coffee cake. Next time, I'm adding even more crumb topping because, in my opinion, you can't have enough. My 14yo swears these taste like a warm peanut butter and jam sandwich. They're gooey and sweet and oh, so good. I made these twice, trying different techniques. Both times, I added a cup of peanut butter chips to the batter. The first attempt I scooped the batter into the muffin tins and made an indentation on the top for the jam. 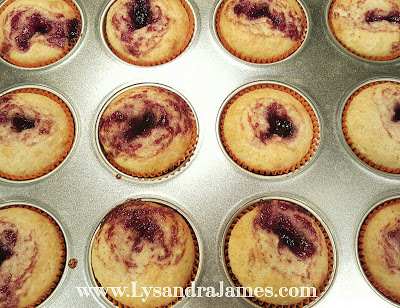 The jam sank into the middle and gave the muffins almost a marbled look on top. While I loved the taste, I wasn't thrilled with a big glob of jam in the middle. 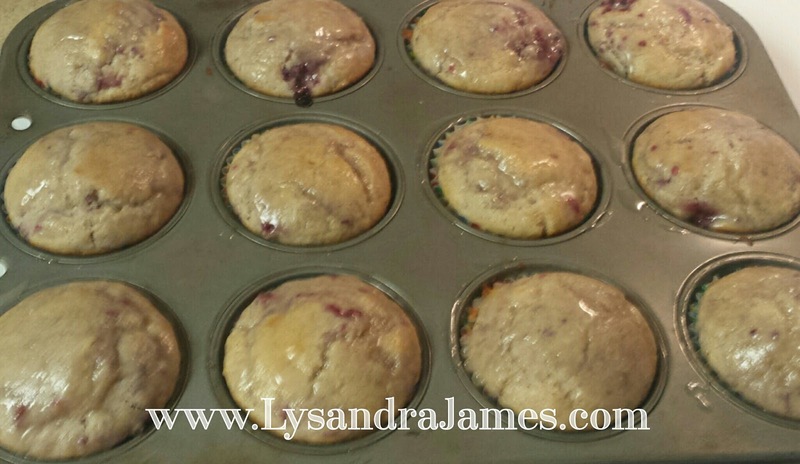 So for my second try, I filled the muffin tins just half full, added the jam, and topped it with more batter. 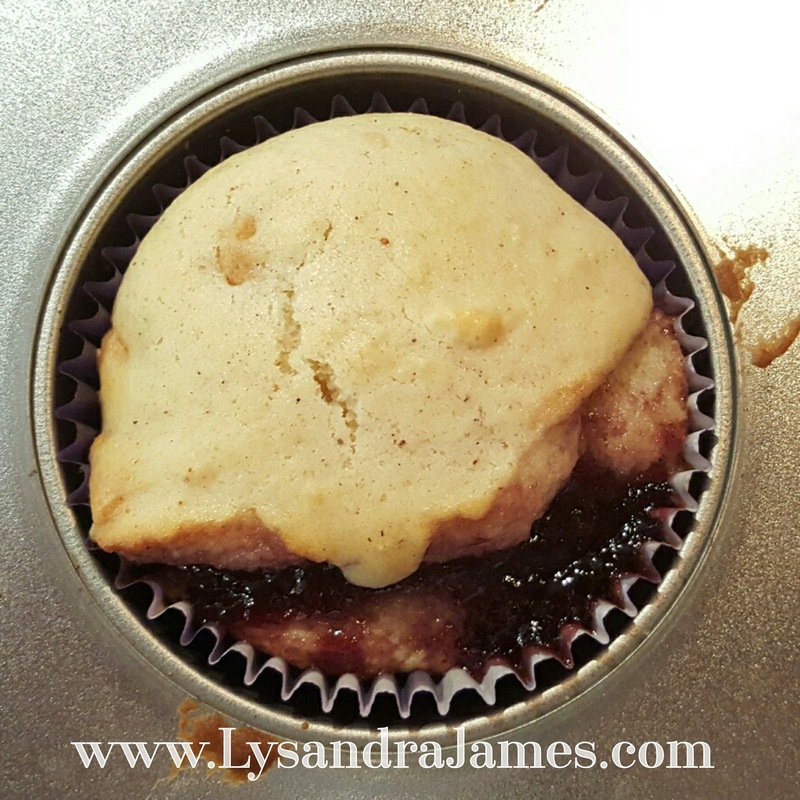 It spread the jam out a bit more, but made a bigger mess in the muffin wrapper. That didn't affect the taste at all, though. Dang, those things are good! Now it's your turn! 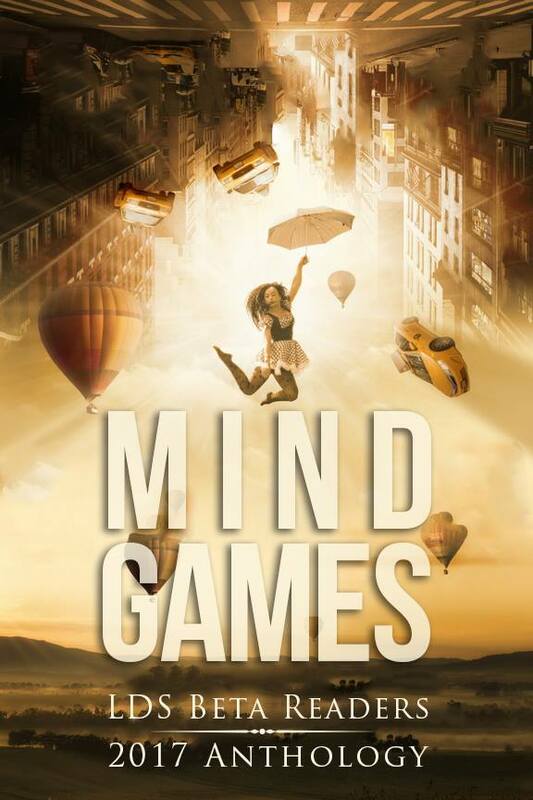 What kinds of variations can you come up with?